Whether you’re a home buyer, home seller, or anyway involved in the real estate market you will have noticed by now that the market has stalled. Whether it’s a vision of what’s to come or an adjustment in the market remains to be seen. Since the real estate crash of 2008, the real estate market has been on a steady incline. Home sales have increased, home prices have increased and the days on the market have declined from months or years to weeks or months. Some markets have heated up to the point that homes were selling in days. During the last 7 months home sales have declined every month throughout the nation and I expect that October will continue the trend. The question on everyone’s mind is whether this is a market adjustment or is it the beginning of a more serious downward trend. The real estate market has been rebounding for the last decade. The markets that seemed to overheat the last few years were those markets that took the hardest hit during the collapse. In an effort for the real estate market to recover, the Federal Reserve had dropped the interest rates to artificially low rates. In the last several months the Federal Reserve has been increasing the rates every quarter and are expected to raise the rates again when they meet for the fourth quarter meeting. 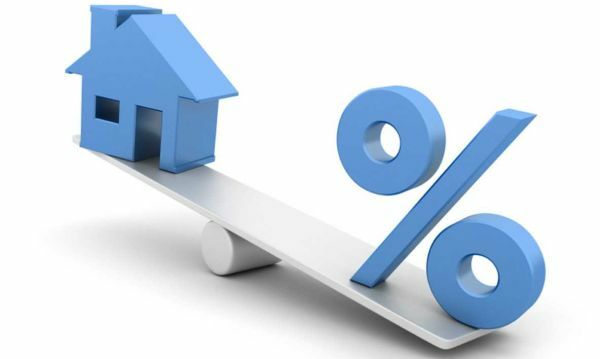 It is anticipated that the rate will eventually increase to 5.5% for home loans. This still is a very good interest rate, but its’ an increase that can impact home buyers, especially first-time home buyers. To add insult to injury is the fact that the National Debt climbed 1.2 trillion dollars in 2018, with a higher interest rate than before which will compound the National Debt even more. The real estate market is driven by first-time home buyers. When first-time home buyers enter the market, it enables home owners who are selling their home to move up and the chain reaction begins. Unfortunately, many first-time home buyers are saddled with student loans which eats into their debt ratio, preventing them from buying a home, even though buying a home during a buyers’ market may make sense. 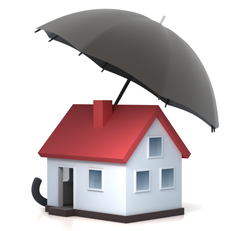 There is great news in the real estate market today regarding the ever-hated PMI Insurance. Mortgage companies are looking for ways to ways to bring more home buyers into the market. The 20% down payment required by conventional loans has kept a lot of buyers out of the market. 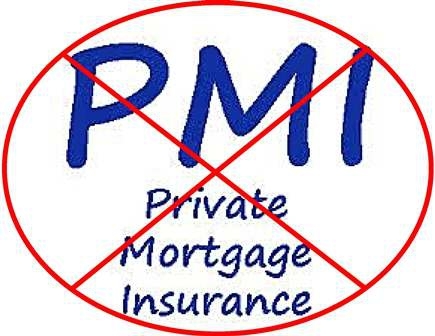 The other part of a mortgage that has continued to be problematic is the PMI Insurance that is generally required of mortgages that do not have the 20% down. There are many programs out there that will enable buyers to circumvent the 20% down. Programs as low as 3.5% downpayment are widespread, but until the other day, the PMI Insurance continued to be a problem for homebuyers. This week Bank of America announced a new mortgage program called the Affordable Loan Solution. This mortgage requires as little as 3% downpayment and is not an FHA loan. Bank of America’s program is a partnership with Self-Help Ventures and Freddie Mac. Because the Bank of America program is taking the first-loss position of the lien it does not require the PMI Insurance. To give you some idea how this program will affect home buyers: Let’s assume that you want to buy a home for $350,000 at 4.0% mortgage interest with the minimum downpayment – meaning that you do not pay the 20% down. Your payments would be as follows. PLEASE NOTE: These numbers are for comparison only and are rounded off. This would amount to a savings each month of approximately $281 per month for homeowners. The program does require a FICO score of 660 at this time. Therefore, if you are thinking of buying I strongly encourage you to start the process early to ensure you have the score you need to qualify for this program. Anyone who has ever bought real estate will attest that buying real estate is a process and not a quick process either. Often times buyer’s feel that it is a waiting game from the time of contract acceptance to the closing, but in reality there are many, many things that are going on behind the scenes that will get them to the closing table. During this emotionally charged time for buyers’ often times they will make decisions that can adversely affect the outcome of buying a home. It is critically important that buyers’ maintain a steady financial posture during this time. Any expenses out of the normal day to day living should be discussed with your mortgage officer or REALTOR®. 1. Buying on credit. Often times home buyers are excited about moving into their new home and want nothing more than having all new furniture or even some new furniture. This is a problem that surfaces on a lot of transactions and buyers should avoid like the plague. Any additional debt will affect your debt to income ratio and could prevent you from getting a loan. Even if you apply for new credit, the simply inquiry that the creditor will do on your credit bureau may lower your credit score and again affect your ability to buy. The rule of thumb – don’t take on any new debt without first talking to your mortgage officer. 2. Missing a payment. Buying a home is an exciting time but it can cause a lot of stress for buyers. Additional stress can lead to missing payments on an account that you would otherwise be meticulous about paying. Many lenders may require a certain period of no-late payments to qualify for the mortgage, such as 12 months. One late payment may preclude you from qualifying or result in a larger interest rate that will be with you for a long time. 3. Be Careful with withdrawals AND Deposits. During the loan process, underwriters will be scouring your accounts for withdrawals and deposits. Withdrawals will reduce the funds you have available and may concern the underwriters. Unexplained deposits will be red flags as to where the funds are coming from. These funds will be examined throughout the process and will be reviewed again right before closing to ensure everything is still intact. 4. Co-signing a loan. You may have a friend or family member who is the most responsible person around but co-signing for a loan while you are in the process of closing on a house may be the kiss of death for your loan. Even though you may not be directly responsible for the co-signed loan, if they default, you are now on the hook for the payments. Because of that underwriters will factor those payments into your debt ratio and it may knock you out of the mortgage. 5. Changes in employment. Next to taking on additional debt during the loan process, changing employment is the second problem for home buyers. Even if the change in jobs brings more money, lenders will look at it as a risk. Often time new employees work for a few months on a trial basis and may ultimately lose the job they thought was a step up. Lenders want to see a stable, reliable income that is likely to continue in the foreseeable future. The secret to getting to the closing table is to communicate with your REALTOR® and mortgage officer during the process and take their advice. The national trend of the real estate market has been rebounding in solid, steady growth throughout most of the United States. There are pockets of areas that are still rebounding, but overall the vast majority of the U.S. is on its way to a healthy recovery. Although 2016 is expected to be a year for continued growth, it does not seem likely that it will reach the growth of the years prior to the recession – but that is good news. Those years of uncontrolled growth were simply not sustainable and the shoe was ultimately going to drop. The good news is that a new survey conducted by the National Association of REALTORS® indicates that there is a large amount of pent-up demand for homeownership. The survey concluded that 94% of all renters 34 years old and under want to buy a home in the future. It is interesting to note that the people surveyed at 34 years of age and under are the ones who have entered the workforce around the time of the worst financial and housing crisis in America. Nevertheless, the desire to own a home is still strong. Regardless of age, the survey indicates that 83% of the renters still say they want to own a home in the future. As the employment continues to grow and the mortgage interest rates remain low, many of these potential home owners may be able to qualify for a mortgage which will continue the rebound of the housing market. So what’s keeping some out of the market? The top two reasons given by renters for not currently owning was the inability to afford it (53 percent) and needing the flexibility of renting (19 percent). When asked what would likely be the main reason for buying in the future, 33 percent of renters cited getting married, starting a family, or retiring as a trigger. Another 26 percent said an improvement in their financial situation would make the difference. Ironically, over 66% of the rental respondents stated that it would be very or somewhat difficult to obtain a mortgage at this time; however, only 5% of the respondents who had recently attempted to obtain a mortgage were denied indicating that the belief of not being able to get a mortgage may be in large part what is holding renters back from becoming homeowners. In a couple of days we will be celebrating a new year – 2016. That means that tax time is right around the corner. 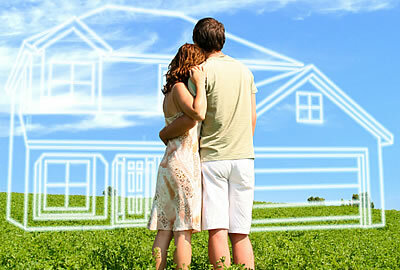 Homeownership has always had the benefit of building wealth in the long term and quite often in the short term also. 1. Homeownership builds wealth. Homeownership does build wealth over time and is quite often the major financial wealth of a family. In the last few years, however, the turbulence in the housing market has led some to believe that homeownership is a risk – and it is to some degree, but in the long run it is a very low risk in my opinion. 2. You build equity every month. When you make mortgage payments, as opposed to rent, you build equity in your home every month. This increases your net worth and over a period of time can be substantial. This increase in equity does not include the increase in wealth that is included by the price of your home increasing in value – that adds to your net worth. 3. Tax Benefits are substantial. The tax code allows homeowners to deduct the mortgage interest from their tax obligations. For many people this is a huge deduction for a good portion of the life of their mortgage. In addition, the points you paid when you first purchased your home are deductible. It does not matter if you paid the points or the seller paid the points, they are the homeowners to deduct. Points may also be referred to as origination fees and may be 1% or more of the mortgage. 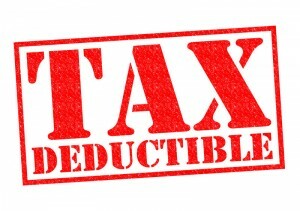 Your property taxes on your primary residence and your vacation home are also fully deductible. 4. Home Equity Lines are also Tax Deductions. In addition to your mortgage interest, you can also deduct the interest you pay on a home equity loan or line of credit. This is substantial if you have credit card debt that you want to pay down. 5. Home Owners get a capital gains exclusion. If you live in your home for more than two years, you qualify for a capital gains exclusion when you sell your home. If you are single, you can exclude $250,000 if single or $500,000 if married from capital gains. In the last few years the housing market has taken a beating and many people may not visualize realizing that much gain in the sale of their house, but in time those days will return and that exclusion will be a big plus. 6. A mortgage is like a forced savings plan. Many people find it difficult to put money in a savings plan. But paying down a mortgage is just that, while paying for your place to live, you are increasing your net worth each month. In time there is a large nest egg that you can rely on if needed. 7. Long term, Buying is cheaper than renting. In the first few years after buying, it may be cheaper to rent, but over time, as rent increases, your mortgage payments on a fixed mortgage will stay relatively stable. In addition, with homeownership you have the tax deductions you do not have with renting. Whether your buying your first house or your tenth, buying a home is a complicated process. If you are thinking of buying or selling, talk to a professional – talk to a REALTOR® – who can give you the information you need to make an informed decision. For up-to-date real estate information visit http://www.RolandLow.REALTOR. Now May Be The Time To Buy Real Estate – Really! Ask any sales person and they will tell you, ‘Now is the time to buy’ – whatever it is they are selling. Whether its a new car, a suit or even real estate, sales people are there to sell their product. Real estate is no exception, and there are a lot of factors and considerations that come into play when buying or selling real estate. There are, however, strong indicators that now really might be a good time to buy your next home. 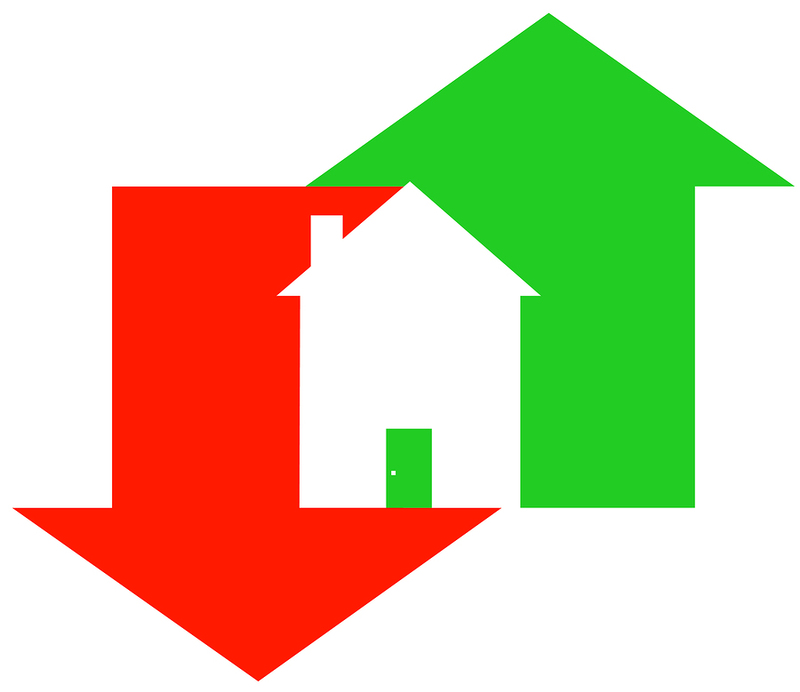 For the last few years mortgage interest rates have been at historical lows with 30 year fixed rates hovering around 4.0% to slightly below. Of course there are many factors that are considered when obtaining a mortgage which may result in different results. But these low interest rates have enabled many people to buy a home. It is only a matter of time before those cyclical rates begin to trend upward again. The Fed is indicating that those rates will most likely be trending upward in the near future. There is another factor that will make buying a home sound financial advice – especially first time home buyers – and that is the dramatic increase in renting. A recent study by Harvard’s Joint Center for Housing Studies indicated that nearly half of all renters are struggling to pay their monthly rental payments. To make matters worse, rent costs are skyrocketing compared to wages. From 2001 to 2014 inflation-adjusted rents climbed 7% while the average household income fell 9%. This not only makes it difficult for renters to continue with their rent payments, but makes it more difficult to save for the cost of buying a home. One of the major perceptions of buying a home is that buyers believe that they need 20% down to buy a house. That is simply not true. Ideally, people will be better off by putting 20% down, but mostly because they can avoid the PMI insurance and obtain a slightly lower interest rate. However, their overall financial strength will more likely be better with owning a house than not owning one.